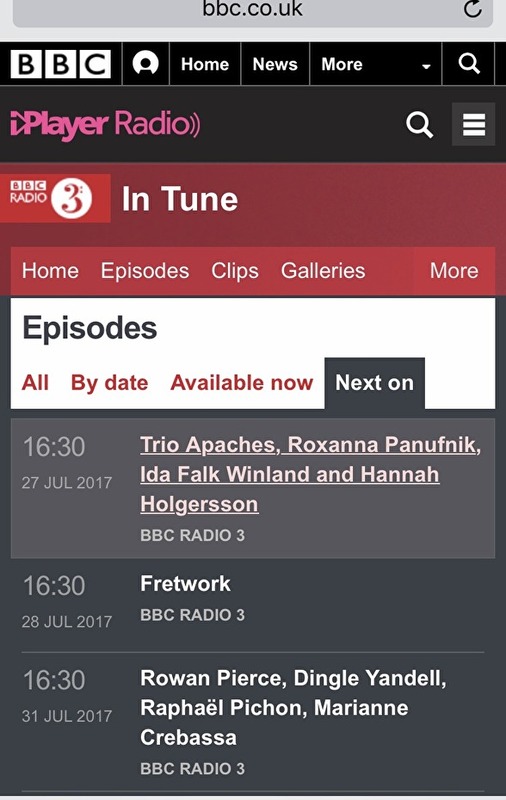 Hannah Holgersson is participating in BBC In Tune, BBC Radio 3, discussing the upcoming Prom concert. The show also includes live performing, where Hannah will sing a couple of songs. Mozart times 2! Exsultate Jubilate and Mass in C minor in one night! God in Disguise times two! Grammis for Sirens and Hillborg! Updated calendar and new web address!